New York City is full of endless hidden venues, where art, music and fashion come together. Wonder World, as the title of the exhibition suggests, is an interactive replica of the universe of Alice in Wonderland, where visitors are able to see, photograph, and interact with the dreamy and aesthetic installations provided. This out-of-sight location is situated in Manhattan, precisely in the glamourous and artsy area of SoHo. The place itself is the historic Andy Warhol's studio and is a great fit for such an exhibition. 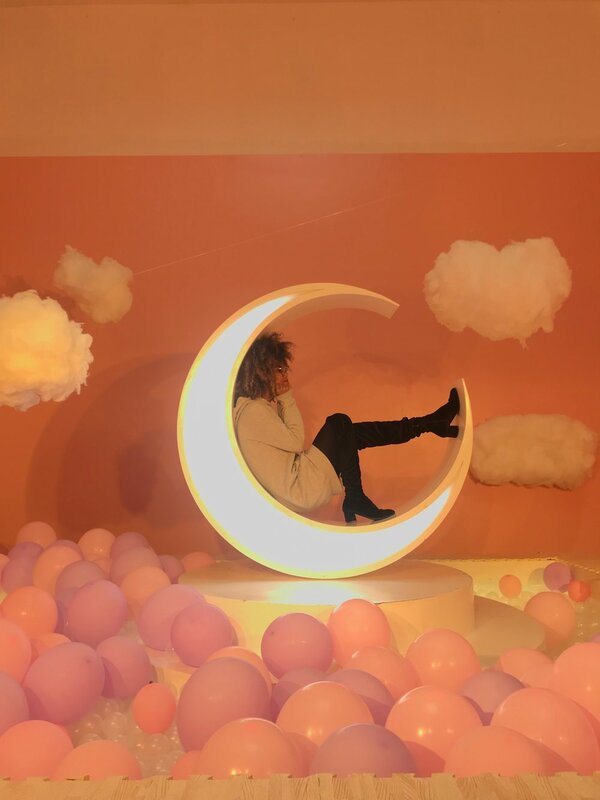 The minimal, white-walled studio leaves tons of smaller areas, divided by corridors, walls, and stairs, allowing Wonder World visitors to explore different kinds of environments: gigantic polka-dot mushrooms, big cups of tea full of macarons, a pink-pastel bubble pool, and a staircase surrounded by tiny, soft clouds. All the installations were created by various artists under the supervision of NYC-based designer, Tianyu Qiu, who is also the curator of the exhibition. The entire experience is specifically built to create an instagrammable space, where photos and videos have creative and aesthetic backgrounds. Most people find the interactive constructions more fascinating and engaging to take pictures with, although one of the most popular spaces in the whole Wonder World experience is the "Bizarre Bazaar" installation. This section of the exhibition is an empty room, with only mirrored walls and small plastic discs falling from the ceiling. 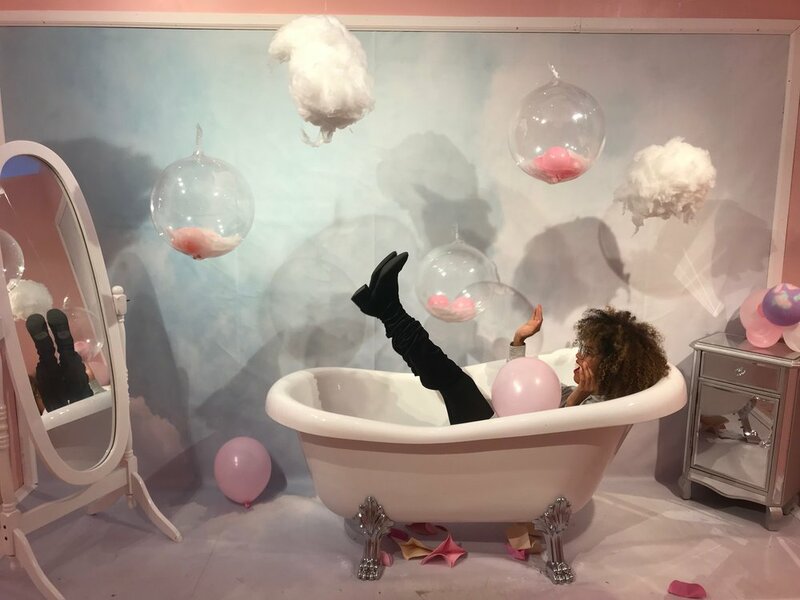 It creates multiple illusions and visitors are welcomed to view themselves inside the box, sit on fluffy rugs, and take as many selfies as they want. Photos and videos can also be shot in the corridors surrounding the box room, where neon lights of different colors give off a spectrum of cool and trendy flashes, providing fascinating filters. Like the wonderful and graceful character Alice is, anyone can let their inner child be pampered while capturing their delightful moments on camera. It's all about a vision, a concept, and a dream to be touched, seen, and remembered. Click link to see full schedule.